A stunning corner option with striking curved glass and a generous opening. 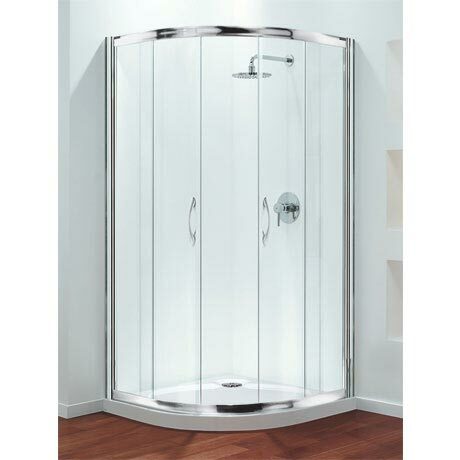 The two toughened frameless safety glass doors feature clear push-on magnetic door seals which are easy to clean. The roller bearing runners ensure the doors glide smoothly and silently every time. Available in 2 sizes, the enclosure is 1900mm high and made from corrosion resistant aluminium and toughened safety glass, which complies with EN12150 and EN12600. The glass is also specially treated to make cleaning both easier and less frequently required.